When I was 14, I was called out at the school assembly for the best-written essay under the English Language Society's essay writing competition. The title was “My idol” and I vividly remember when everyone else was writing about their dad, a teacher or someone they know in person, it took me approximately 2 hours to write 4 full pages about A.R. Rahman. I swear it is no surprise to anyone who has been there during my preteens that I turned out to be a writer. The first piece which I wrote that made everyone realize that it is not only a dream and I can actually write, is that essay, my idol, A.R.Rahman. Coincidentally, it was the year that A.R.R. Ji won an Oscar and a Grammy for Slumdog Millionaire (2009) so the world was already celebrating him and there were fans popping up like mushrooms after a rainy day. But for me, I fell in love with that man the first time I listened to Pettai Rap and Urvasi from Kadhalan. I was like 4? I remember not allowing Amma to change the channel every time the song was on. It was so fresh back then! My life has always been in tuned with music, Carnatic especially. I grew up listening to many songs and I do very much remember that every time there was a Rahman song playing (literally) anywhere, I shut everyone up until its finished (Hey, we didn’t have the privilege to get it recorded or rewind all the time, so don’t judge!). I mean, who could over look his golden era of the 90’s? Every song was unique, every song was fresh and every song gets you on the loop, till date! Mentioning Kadhalan just now, I can never overlook Ennavalae. Easily Unni Krishnan’s best song and every 90’s couple’s favourite duet. Because of my Carnatic background, I do know the amazing vocals of Unni Krishnan prior to his film debut but little did I know at the very young age, it was his voice that made me go to sleep almost every night when I was a kid with the song Uyirum Neeye. Again, another A.R.R. Ji’s masterpiece. Now that he is coming to Malaysia to (definitely) perform Ennavalae, who wouldn’t want to miss it? 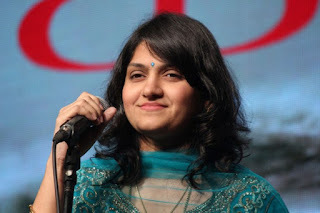 On the other hand, there is Unni Menon, who has sung over 3000 songs in South Indian languages and won A.R.R. Ji his first National award (for his first movie!). He has a very unique, yet very manly voice. The Mozart of Madras put it to good use with songs like “Oh la la la” from Minsara Kanavu and “Poorale Ponnuthayi” from Karuththamma. A big reason I love A.R.R. Ji is that he is always welcoming new talents. Just like how he found Haripriya from Super Singer Junior 4. She wasn’t the title winner but she wowed him with her “Soukiyama Kannae” and now touring the world with him (doesn’t this remind you of Naresh Iyer a little?) Great news is that, Haripriya will be here this July 7th too! Speaking about Haripriya and new talents, you know who else has a similar story? Singer Harini! Yes, she was in a singing competition when A.R.R. 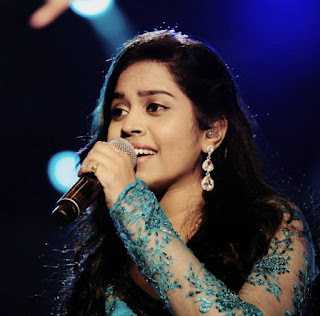 Ji and filmmaker Suhasini Maniratnam approached her to sing her first song in the Tamil playback industry, Nila Kaigirathu. She was only 15 then and I don’t have to go through her success story , recording over 15 songs with A.R.R. Ji alone! 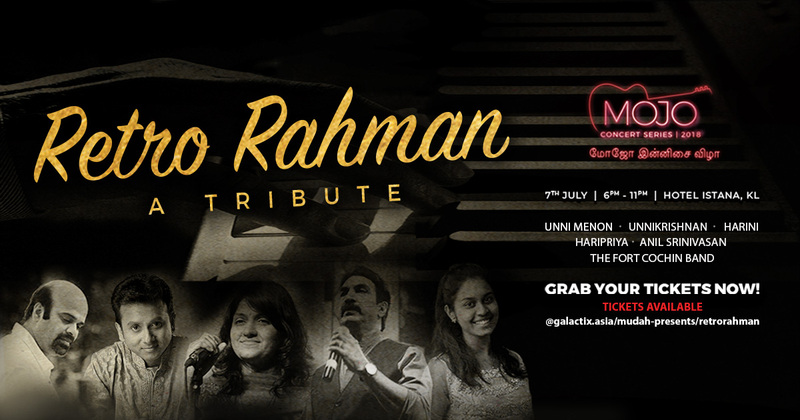 And you guessed it right, all these expectional honey-voiced talents are coming together for Retro Rahman, a tribute concert, highlighting the 90’s songs of A.R.R. Ji. 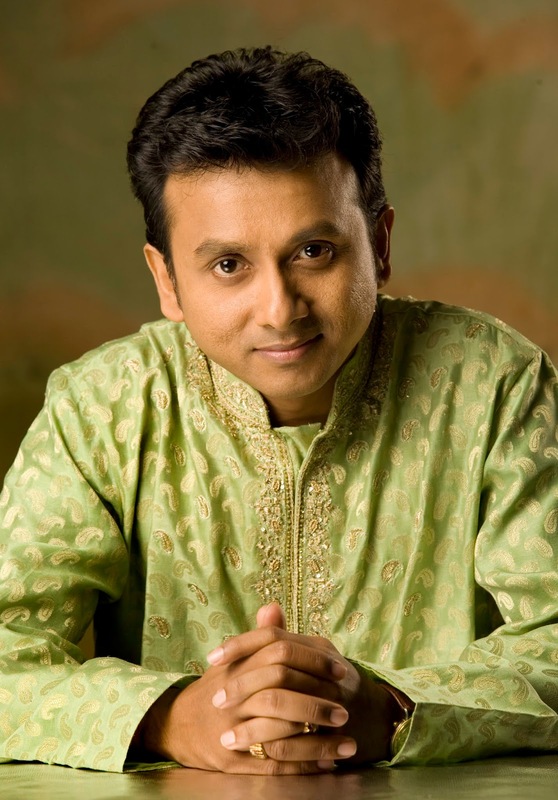 Unnikrishnan, Unni Menon, Harini and Haripriya are to date touring around the globe with A.R.R. 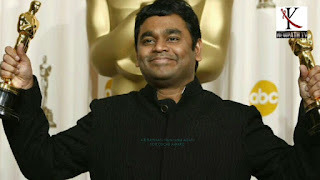 Ji and having all of them on the same stage for Retro Rahman is close to having A.R.R. Ji here! Now who would want to miss this ? To get your tickets for Retro Rahman: A Tribute, head over now to www.airasiaredtix.com or call 012-2000505. Uni- Art Festival Weekend: Why Was It Special.